Three bold central glass panels, and bold mouldings. Black Amsterdam Glazed 3L. 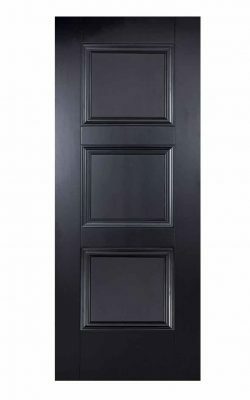 A traditional three glazed panel design, emphasised with a sleek, primed black finish. 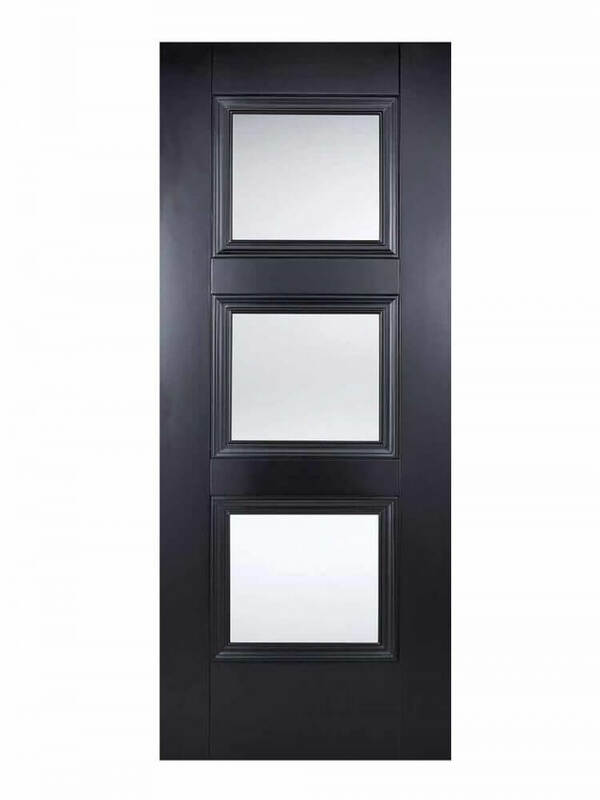 3 Light Clear glazed door.